InterContinental Bali Resort is proud to announce the launch of its newly designed and updated website – bali.intercontinental.com – which has been expertly developed to provide an optimal viewing experience that allows potential guests to take a 360-degree virtual tour of the Resort and visit the destination before their travels begin. The fresh new website presents an elegant, clean, responsive design, integrating highly-visual interactive elements and technical features. 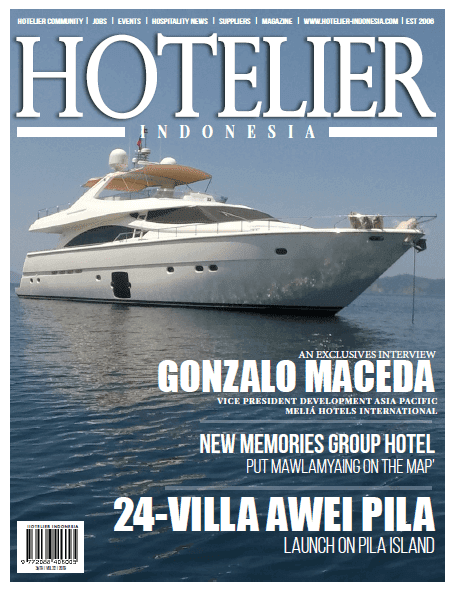 The corporate model has been replaced with an intuitive, image-rich, engaging layout, and enhanced user-friendly navigation that never loses sight of the absolute attention to detail, which has become the hallmark of InterContinental Bali Resort. Facilitating comprehensive travel planning from research to booking, the site’s new technical features include easy and comprehensive page navigation for the purpose of browsing information. Fully optimised mobile versions have been created for iPhone, Android and Blackberry users, ensuring that the site responsively adapts to the screen size that the customer is using – whether that be a smartphone, tablet, laptop or desktop computer. The new site has also significantly reduced the number of steps and clicks needed to complete a booking; this is due to the powerful booking engine that is embedded in the site itself and not hosted separately. Resort’s unique selling points. This includes a separate section for Club InterContinental, designed to enlighten browsers with details of the vast array of privileges, and the luxurious experience that they can enjoy once they have chosen to stay in this luxurious ‘resort within a resort’. Other pivotal information includes guest activities, Planet Trekkers children center, meetings and events, as well as all of the important information that couples need to know about planning a wedding at InterContinental Bali Resort, including venues and packages. Also highlighted are the most up-to-date special offers and promotions for accommodation, food and beverages, the spa, and meetings. Enhanced features include guest testimonials and the new “Stay & Share” images that encourage guests to share their photos, which are continually being added to keep the website fluid and give anyone landing on it a true reflection of what awaits them. Finally, the reach of the website expands way beyond its own pages by inviting visitors to “Socialise with Us” via popular social media platforms including Facebook, Googleplus, Instagram, Linkedin, Pinterest, Twitter, Weibo and YouTube. 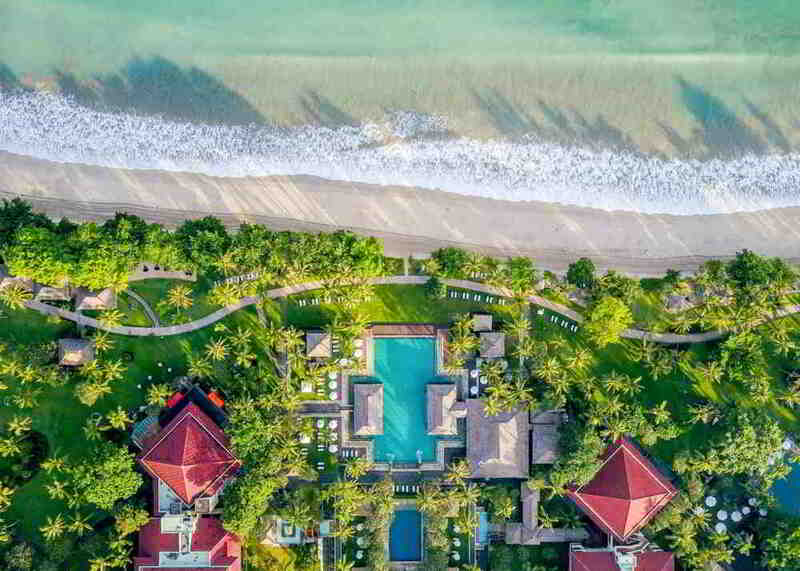 Blessed by an endless stretch of white sand beach overlooking the tranquil waters of Jimbaran Bay, InterContinental Bali Resort features 417 guest rooms in three unique levels of accommodation. The property embraces a 14 hectare tropical landscape that is a blend of indigenous flora, gentle waterways and stone statues reflecting the island’s artistic heritage. There are six swimming pools, Planet Trekkers children’s resort, a fitness centre and plenty of recreational activities to keep guests occupied throughout the day. Spa Uluwatu is a dedicated healing and beauty facility for individual sessions, while the exclusive Villa Retreats promises indulging spa packages for couples. A superb choice of restaurant venues makes every dining experience an adventure in culinary excellence. About InterContinental® Hotels & Resorts: The InterContinental Hotels & Resorts brand has 182 hotels located in more than 60 countries with local insight that comes from over 65 years of experience. As a brand, we believe that superior, understated service and outstanding facilities are important, but what makes us truly different is the genuine interest we show in our guests. Our desire is to help guests make the most of their time. We connect our well-travelled guests to what’s special about a destination, by sharing our knowledge so they enjoy authentic experiences that will enrich their lives and broaden their outlook. For more information, Visit: www.intercontinental.com,https://twitter.com/InterConHotels or http://www.facebook.com/intercontinental.